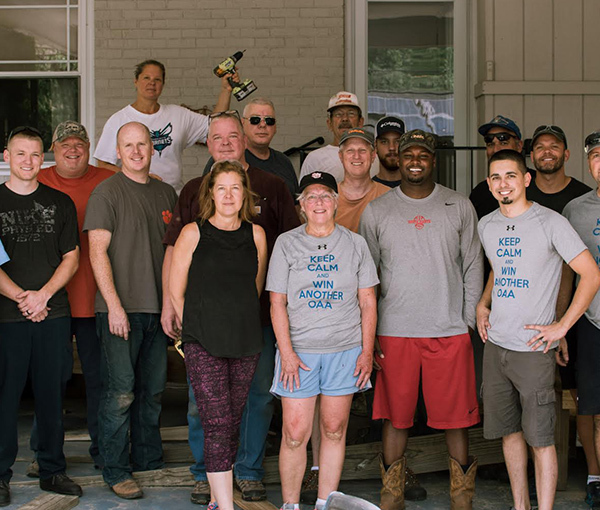 Employee-partners in Greenville, South Carolina teamed up with Rebuild Upstate to help a family in need by building a wheelchair ramp at their home to make it handicap accessible. The family received overwhelming support from Cintas employee-partners, and they were grateful to have the help. Thank you, employee-partners for being Ready™ to Make an Impact! WANT CINTAS TO PARTNER WITH YOUR ORGANIZATION?